But what happened was something surprising. 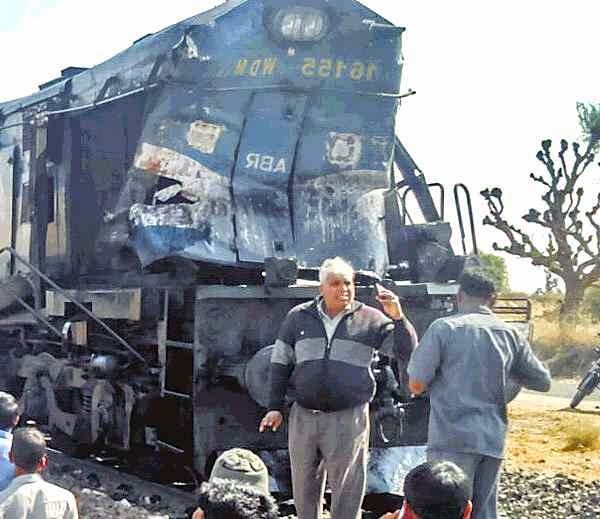 Everyone thought that crane would be shattered more than the diesel loco. Instead an opposite materialized. The locomotive's face was defaced and crane kept a good shape. There were hundreds of passengers inside the train who were shell shocked when they climbed off the bogies to take notice of what happened. After about couple of hours a new engine was bought from nearby station to pull the train, so that it reaches the destination. As per latest news, the police who came to spot, still hasn't been able to find the crane driver who is hiding somewhere in jungle.